615.00 sqft. - 815.00 sqft. Located near Palidevad in Navi Mumbai, Aditya Balaji Paradise is an upcoming residential project from Aditya Builders. The project ready-to-move and offers all lifestyle facilities that make for a comfortable lifestyle. Aditya Balaji Paradise has . Restaurants, banks, hospitals, ATMs and schools are all within the vicinity, making everyday life easy. Palidevad is also well-connected by public transport with other parts of Navi Mumbai. Palidevad, Panvel is one of the quickest emerging town in the state of Maharashtra. It is fenced by Bonshet, Vihighar, Akurli, Chipale and Koproli. Kalundre River flows from within the town. It is blessed with ace transporting modes which eases the commuting o the residents. The rapid development of the town has grabbed the heed of an horde of real estate investors. The Chhatrapati Shivaji International Airport is the closest runaway that connects the area with several national and international destinations. The Sion – Panvel highway and Mumbai-Pune Express passes by the area and connects it with other parts of the country. The Panvel junction is the closest railway terminus to the place and connects the area with other corners of the country via regular trains. All the basic amenities are available in the region. 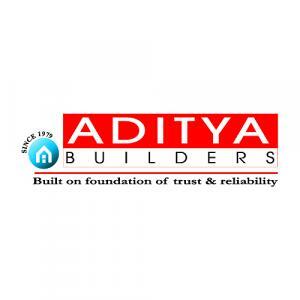 Since its inception in 1979, Aditya Builders have successfully achieved good reputation in the Real Estate Market. The company's main focus on customer's need, hopes, concerns and dreams has helped them to scale new heights in the domain. Their main vision is to create homes that not only build structure but also to build strong relationships with their customers, through result oriented efforts that exceed all expectations. Visioned to succeed has leaded the organization to provide affordable living in several prime locations of India. Reaching heights of prosperity is the sole motive of Aditya Builders.